Size: 100 x 69 x 36mm / 3.93 x 2.71 x 1.41"
Material:Made of high quality aluminum,have good thermal conductivity.more durable and practical. 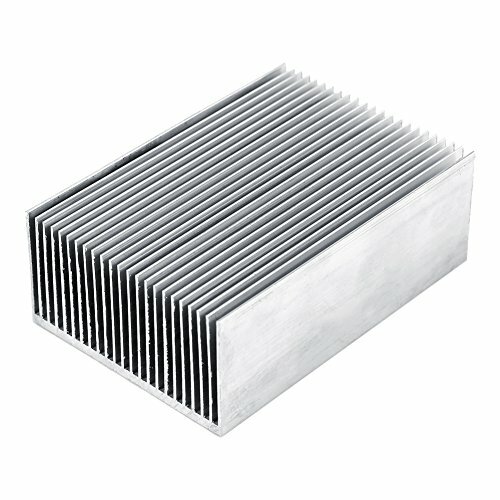 Safety:when you use the aluminum heat sink,it can reduce the risk of hardware failure due to overheating.more safety for your electronic devices. Quantity:package included of 1pc Heatsink which contain 23 pcs aluminum tooth, increase the area of the board and transfer area. Design:Designed to maximize its surface area in contact with the cooling air. If you have any questions about this product by Hilitand, contact us by completing and submitting the form below. If you are looking for a specif part number, please include it with your message.